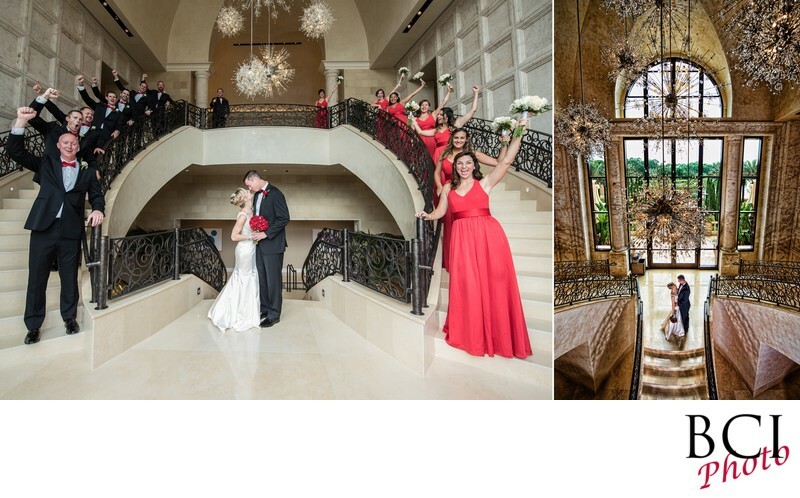 Four Seasons Disney Bridal Party. Wedding album page. This is a page from the couples wedding album, featuring some on location wedding portraits taken at the Four seasons Disney in their lobby. Subtle off camera lighting was used in both of these shots to ensure your couple poped off the pages as they should, all while remaining "normal" looking. Location: Four Seasons Disney, Orlando Florida.